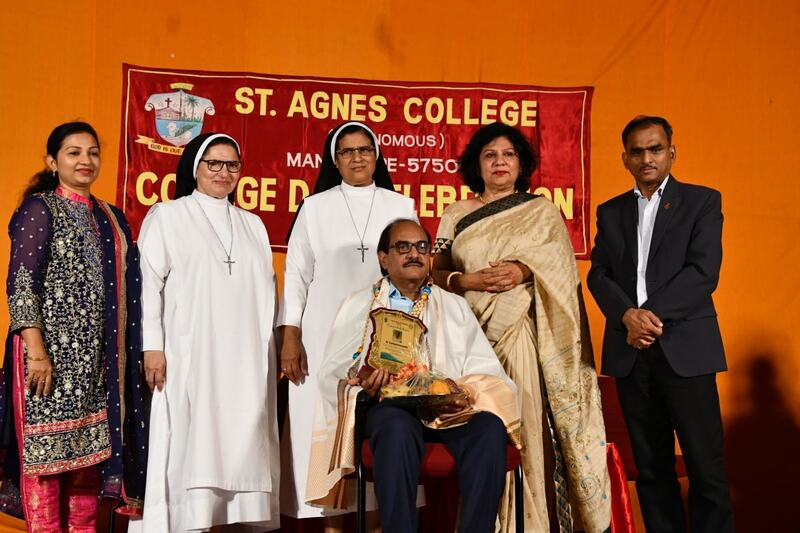 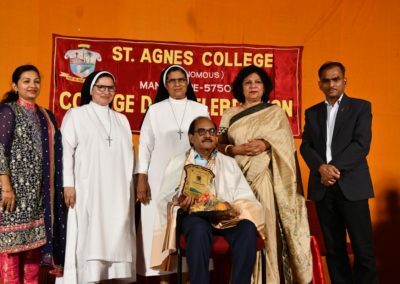 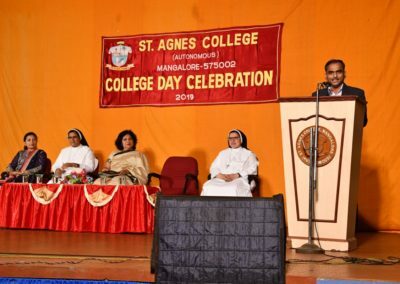 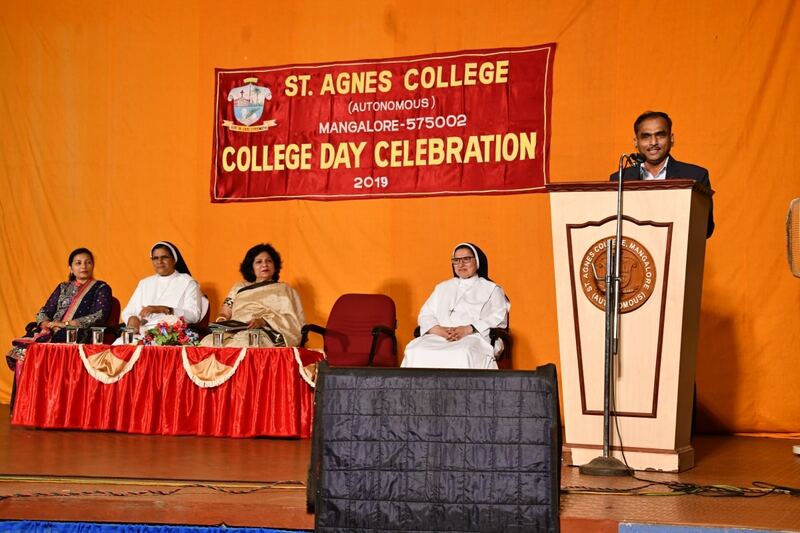 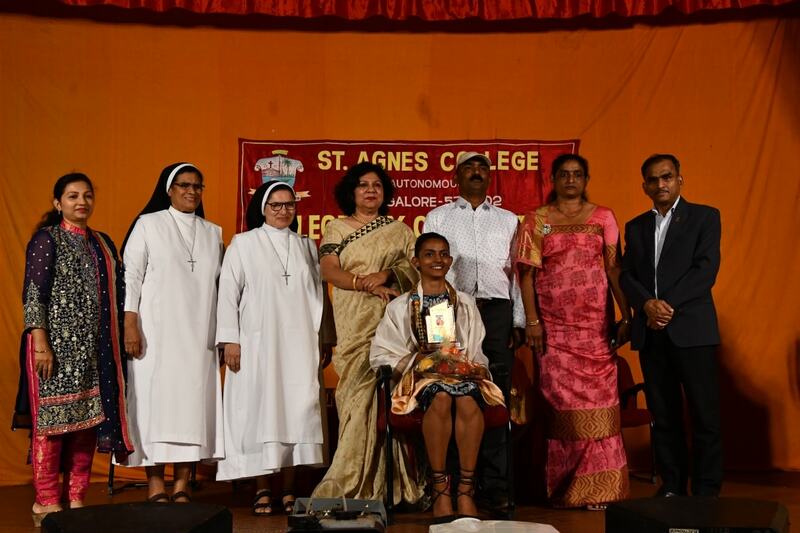 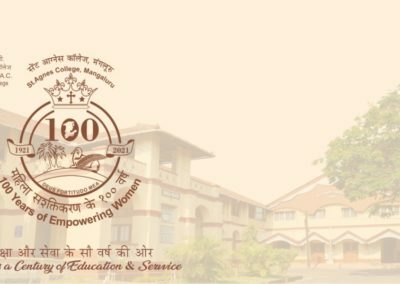 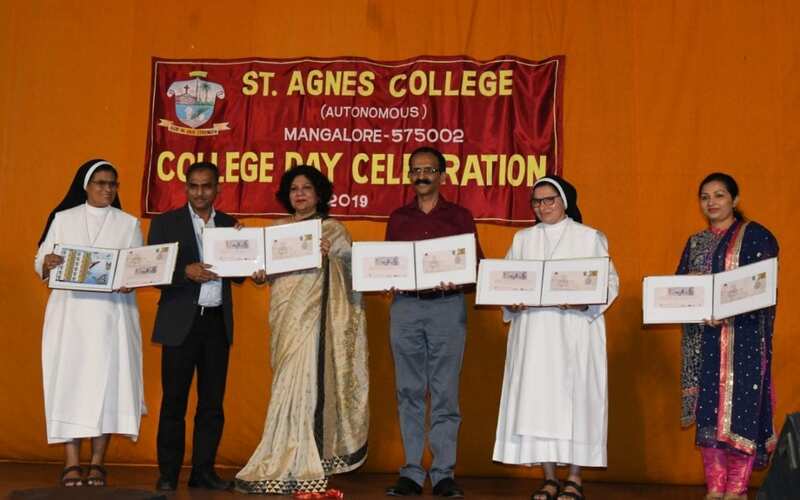 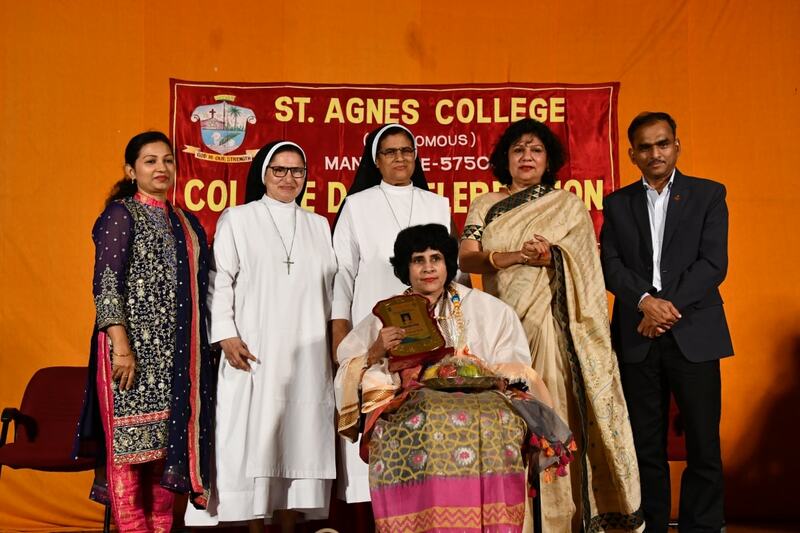 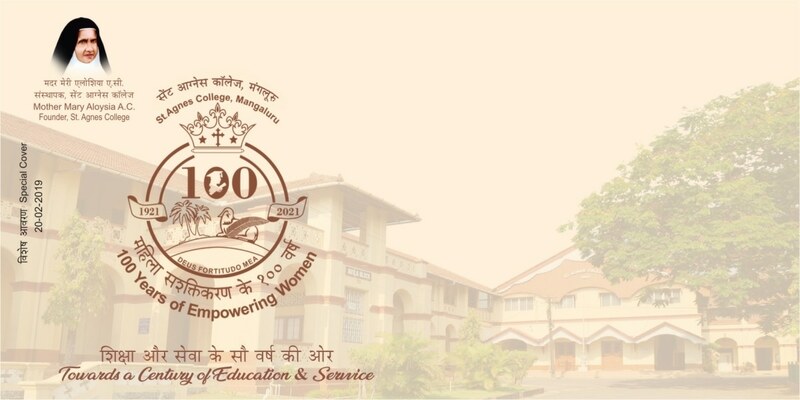 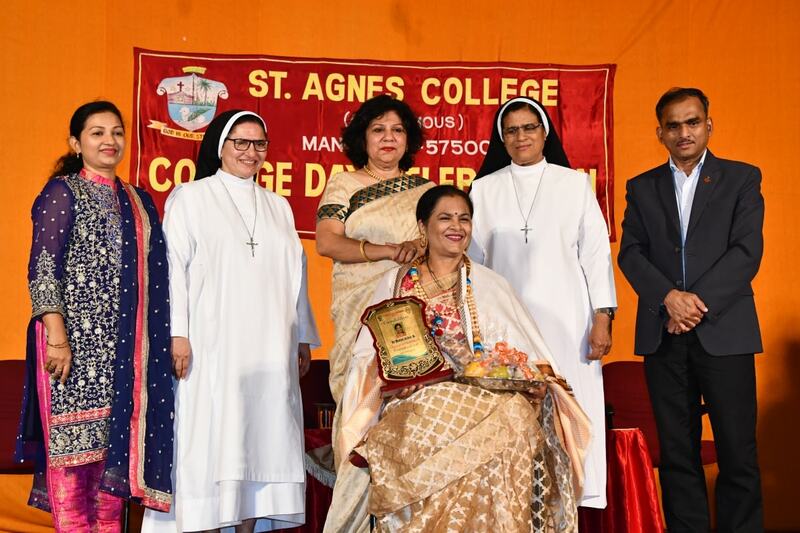 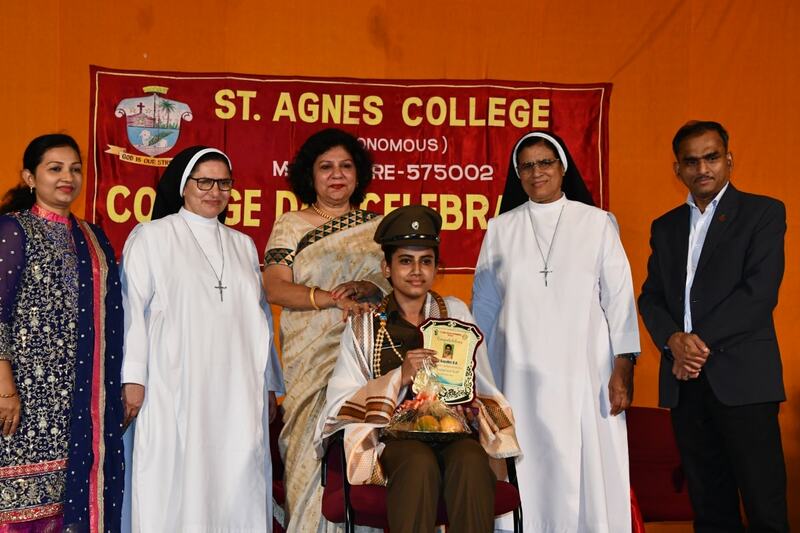 The celebration of the 99 College Day of St Agnes College (Autonomous), Mangaluru commenced at 5.00 p.m. on the open air grounds of the college, with the guard of honour and grand welcome march for the dignitaries and guests gathered for the occasion. 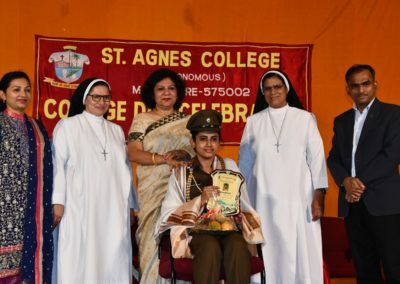 Chief Guest Mrs Margjorie Texira, Entrepreneur and former Senior Manager at Karnataka Bank Ltd and HDFC Bank,Guest of Honour, Dr Charles Lobo, IPS Chief Postmaster General, Karnataka Circle,Sri S Rajendra Kumar, PMG, South Karnataka Region,President, Sr Dr Maria Roopa A.C., Joint Secretary of St Agnes College (Autonomous), along with the Principal Sr Dr M. Jeswina A.C., Dr Geralyn Pinto, Head of the Post Graduate Department of English welcomed the gathering. 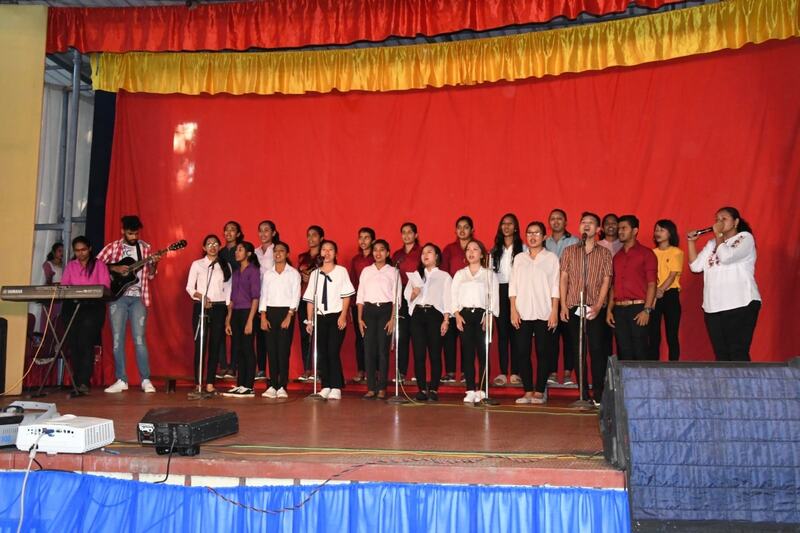 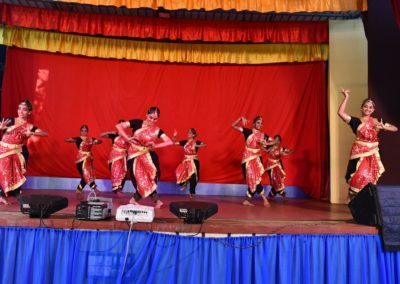 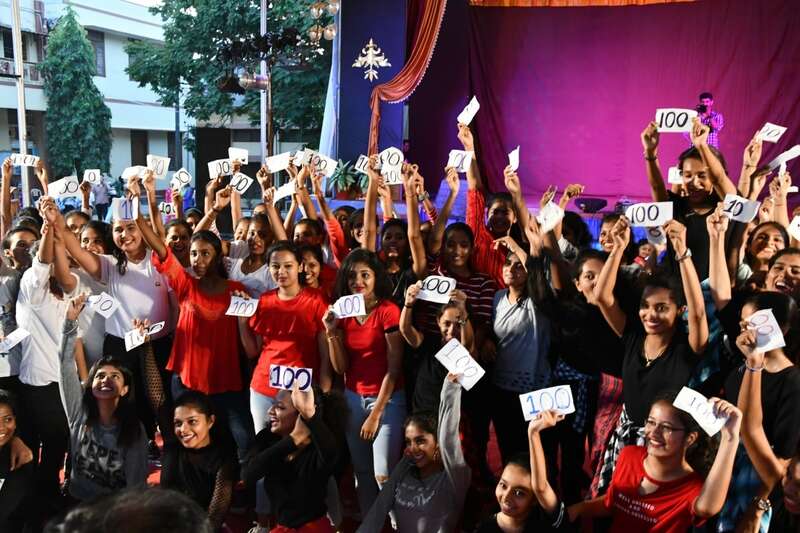 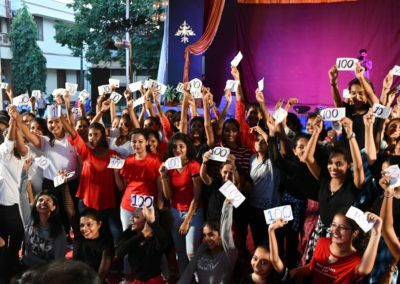 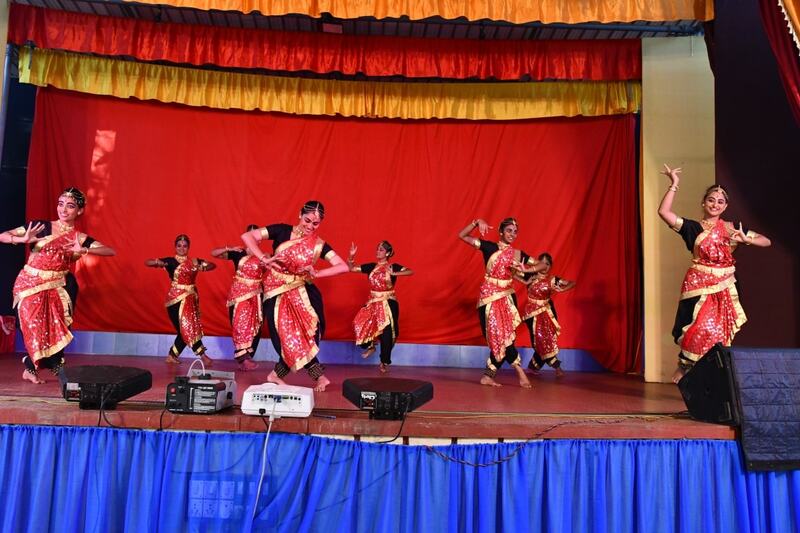 A Vibrant cultural programme was a feast to the eyes of the audience comprised of parents and their wards, where students showered their talents. 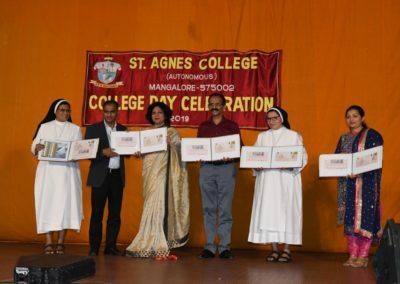 A momentous highlight of the evening was the release of the special postal cover to commemorate the Centenary of the college. 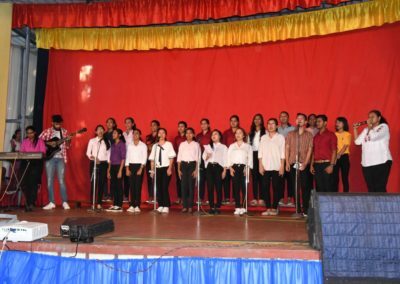 The special cover was released by Dr Charles Lobo, IPS, Chief Postmaster General, followed by a flash mob to celebrate to release the Special Postal Cover; he congratulated the institution on achieving the glorious mission of higher education over the last ten decades, and conveyed his good wishes to the Management and the students. 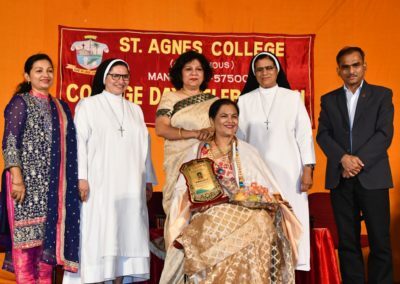 The Chief Guest Mrs. Marjorie Texeira in her message to the audience conveyed her best wishes to all the stakeholders of the institution and also spoke about the role of Higher Education in shaping up careers for the youth and thus in turn building up the society at large. 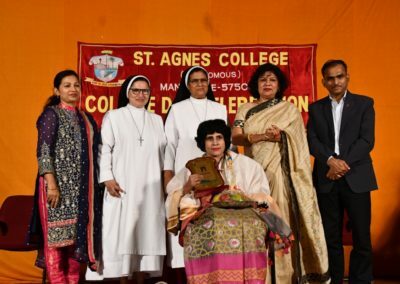 She laid particular emphasis on the current need for skill based learning and practical exposure to prepare students for the industry. 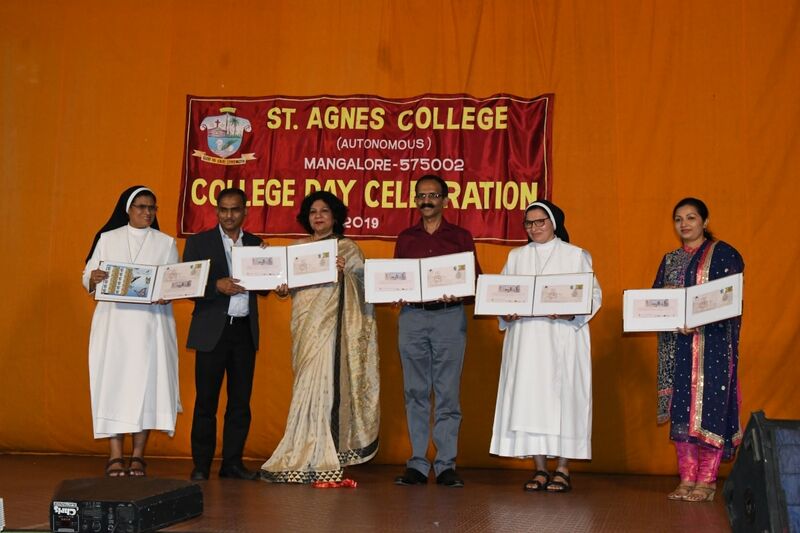 The Chief Guest and the President also awarded the students with general proficiency and special prizes during the awards ceremony which was a memorable occasion for students and parents.